I am excited to announce that I have officially been endorsed by the Daily Herald. They believe that my background and experience are the most compelling. I am honored to have their support. You can read the full article, here. 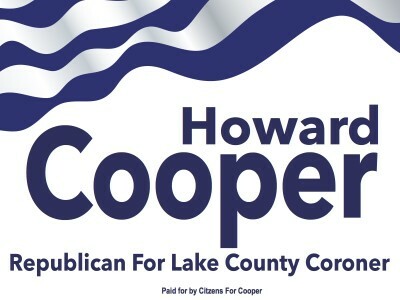 You are cordially invited to a reception for Dr. Cooper’s campaign for County Coroner. The event will be held on June 21st, 2016 at Mickey Finn’s Brewery in Libertyville. Tickets start at $75. Click here for more details. 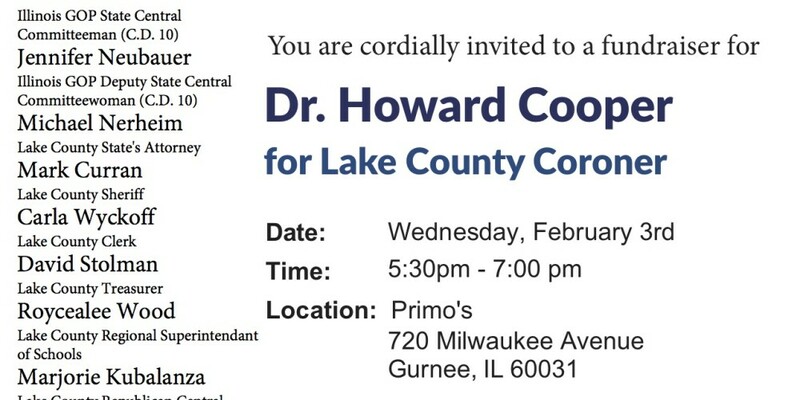 You are cordially invited to a fundraiser for Dr. Howard Cooper for Lake County Coroner on Wednesday, February 3rd from 5:30 – 7 PM at Primo’s (720 Milwaukee Avenue, Gurnee IL).